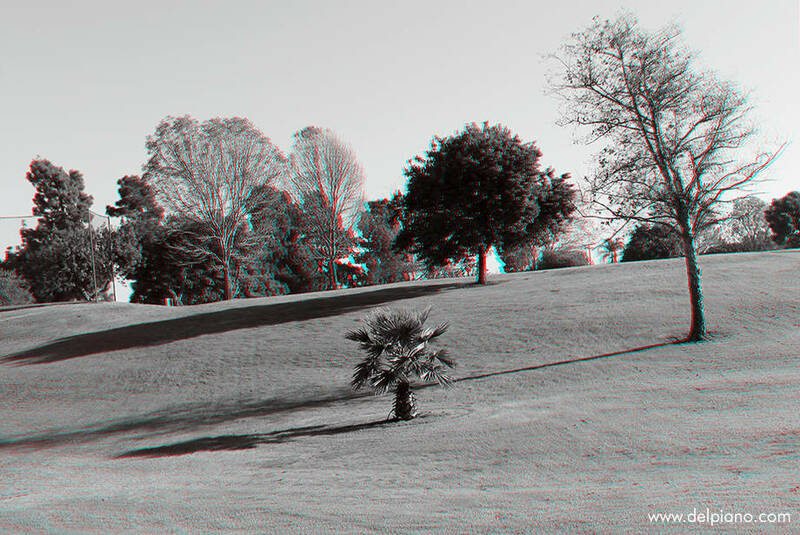 Landscape as an extended universe, that is, layout of people and objects, following the rules of space, culture and habits. 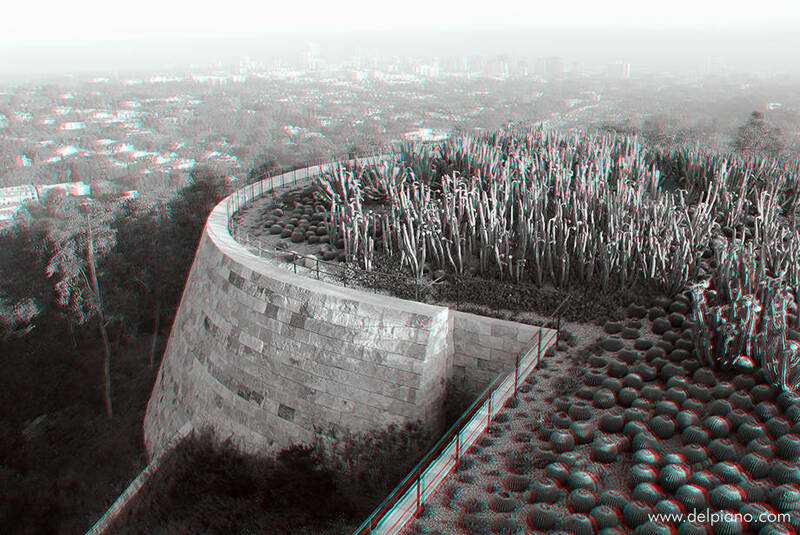 No two situations are alike, although they usually tend to reproduce the same patterns of volume and emptiness. 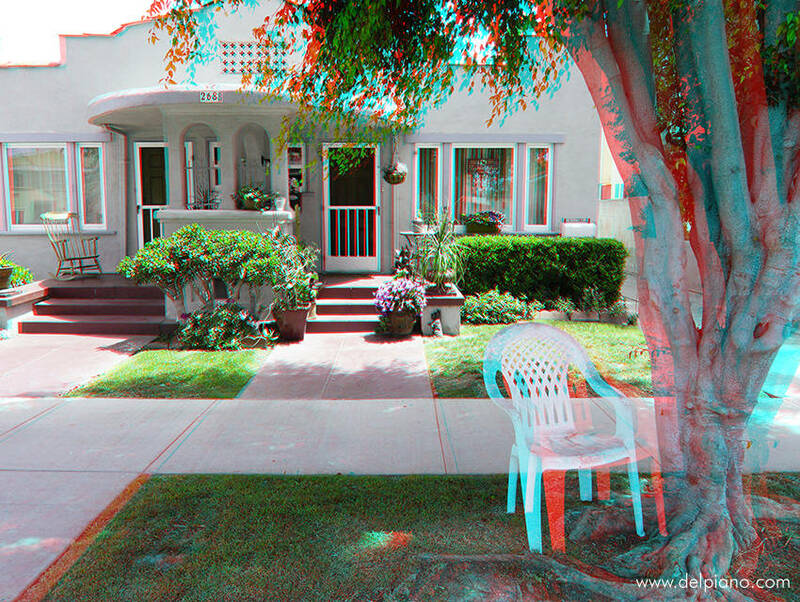 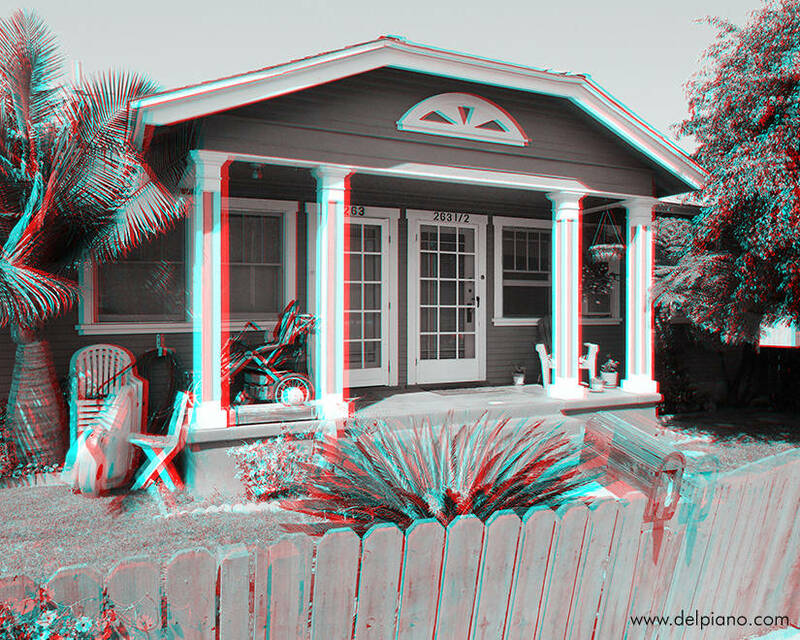 And since 3D shows the depth of everything, we can navigate into it, live it from inside, be there. 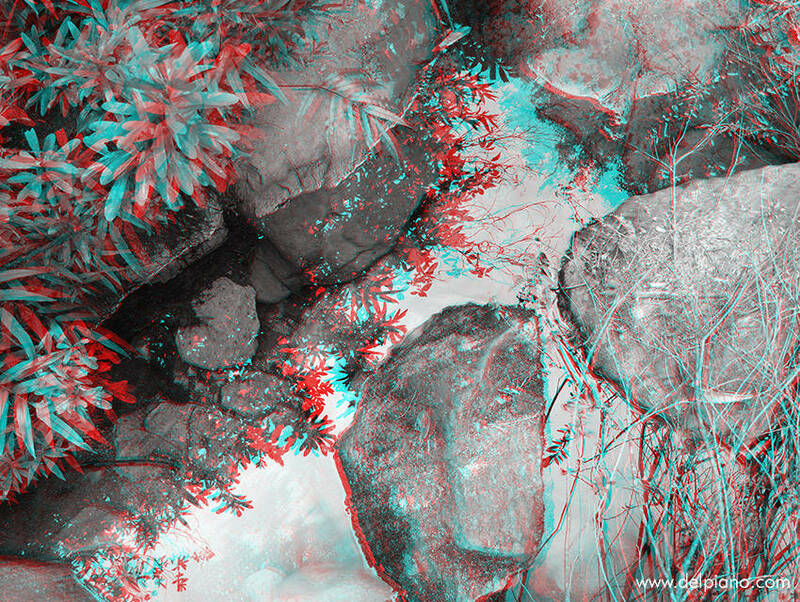 In a landscape photograph we force the brain to re-create a depth that is not there in the first place, all brainwork + guesswork, in the end, because the average separation between left and right eye is never enough to give a strong 3D impression. 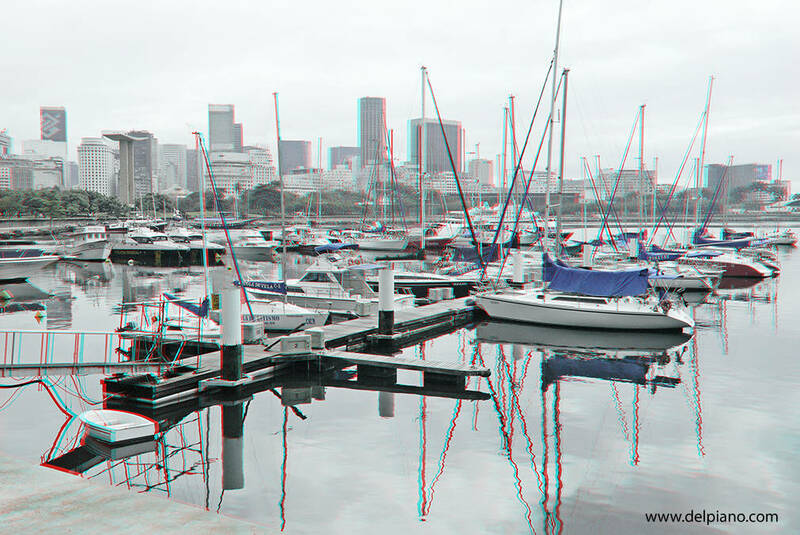 But a 3D image (taken in the right way) can exaggerate the relationship among the different planes of view and make it "real". 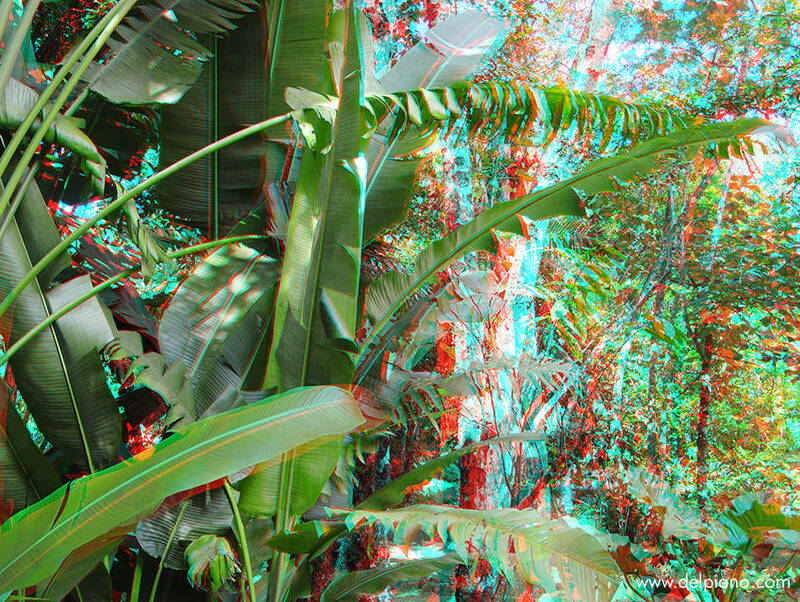 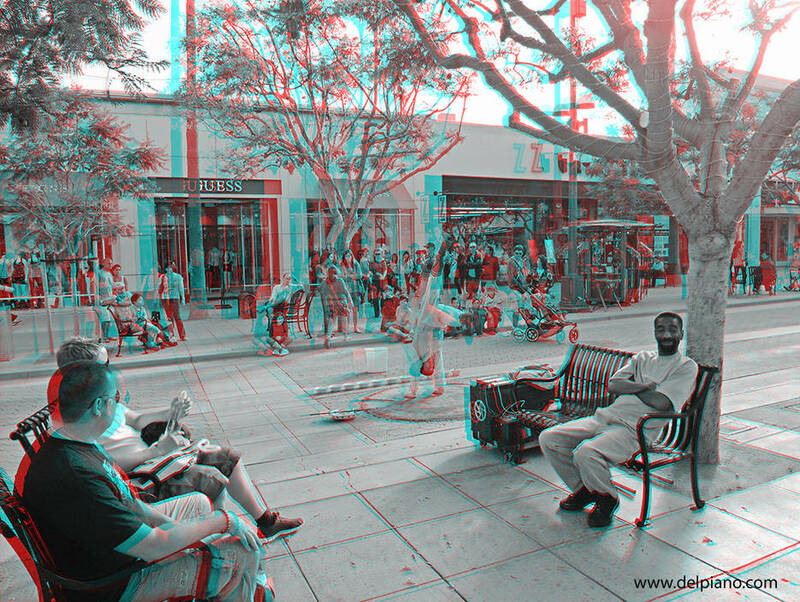 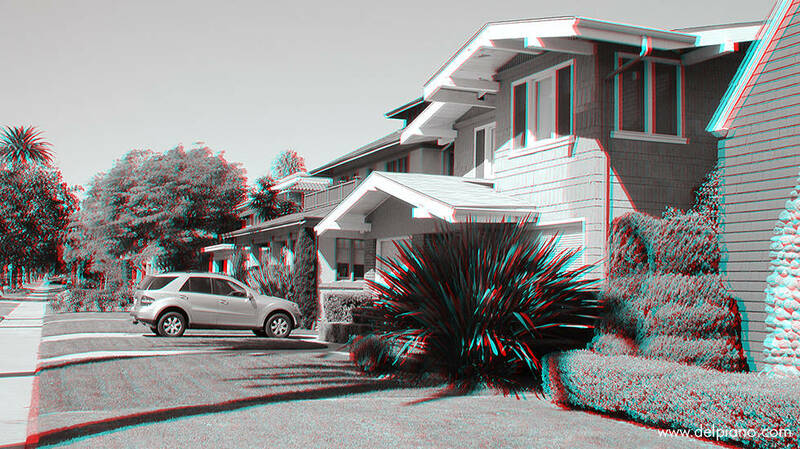 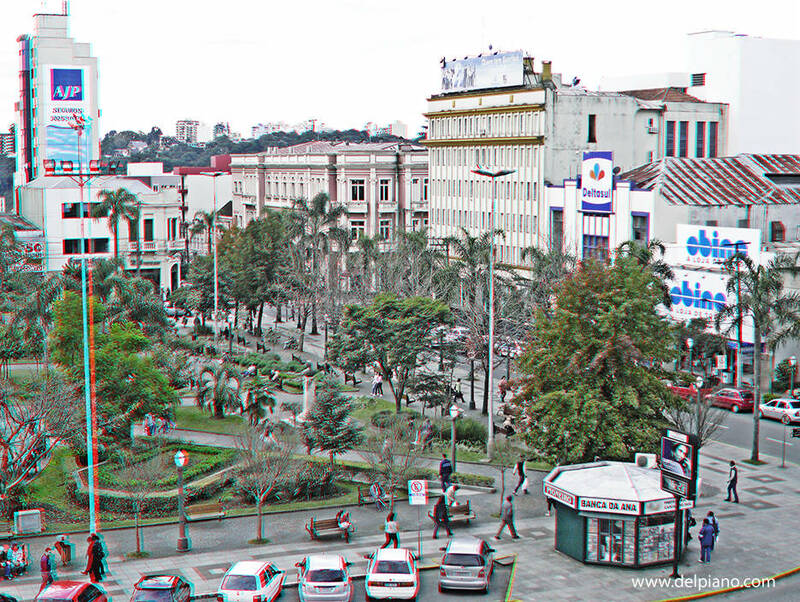 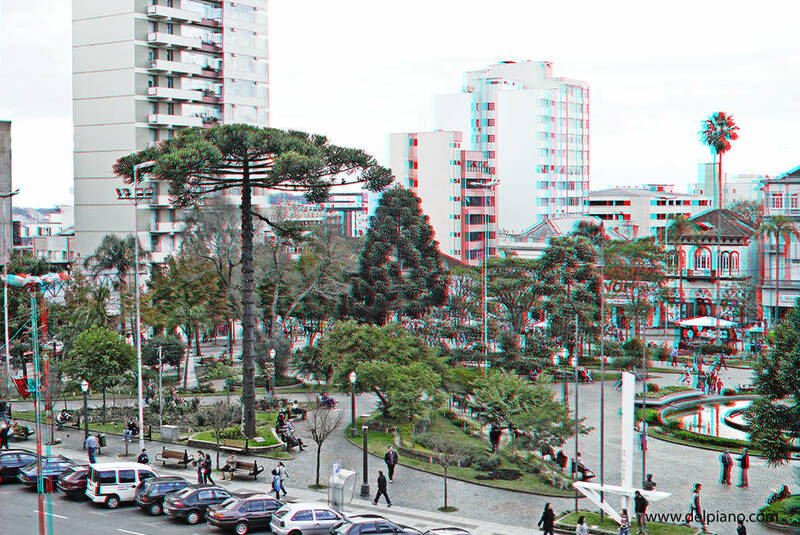 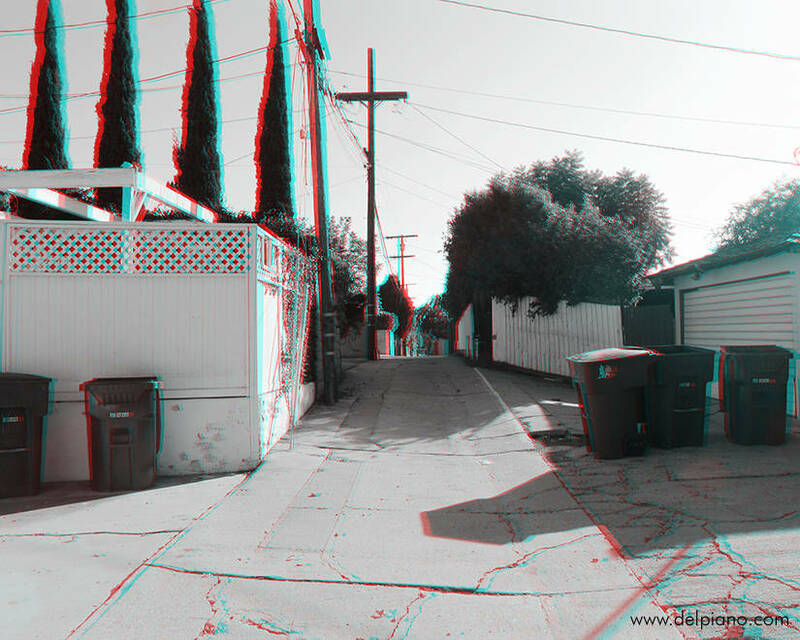 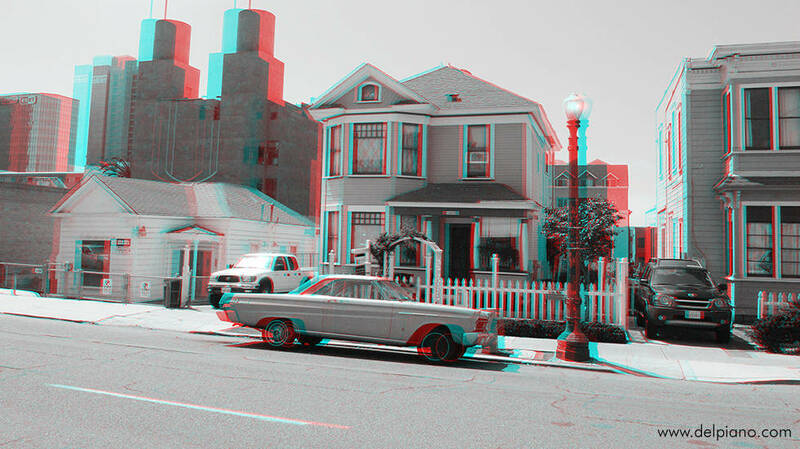 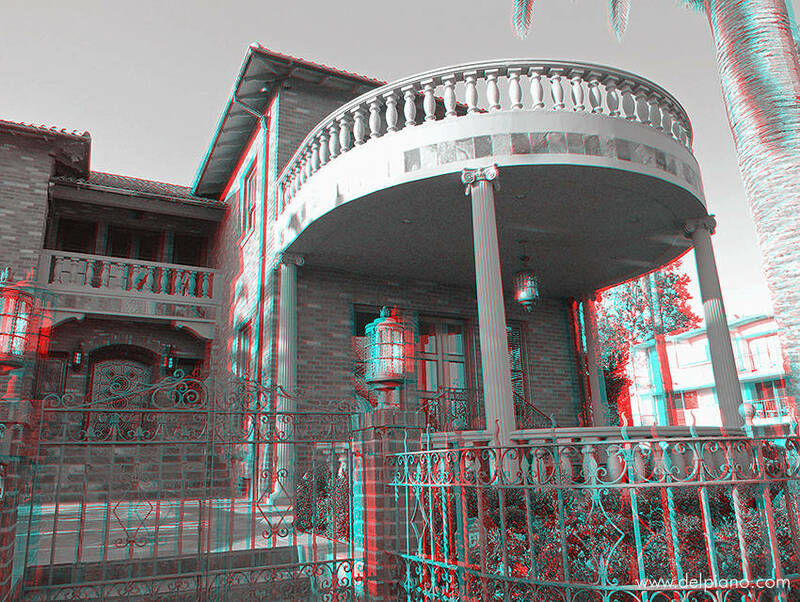 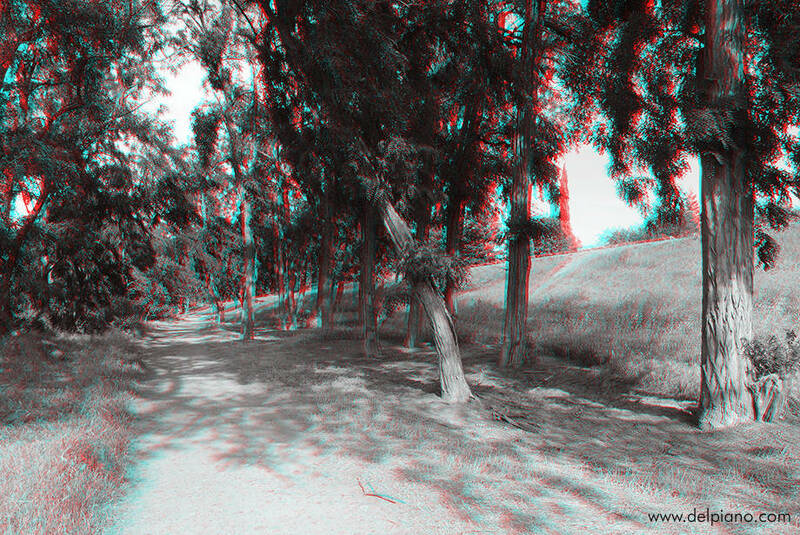 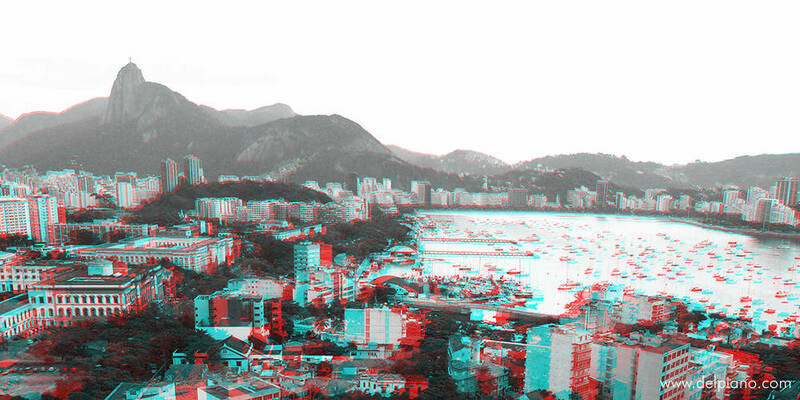 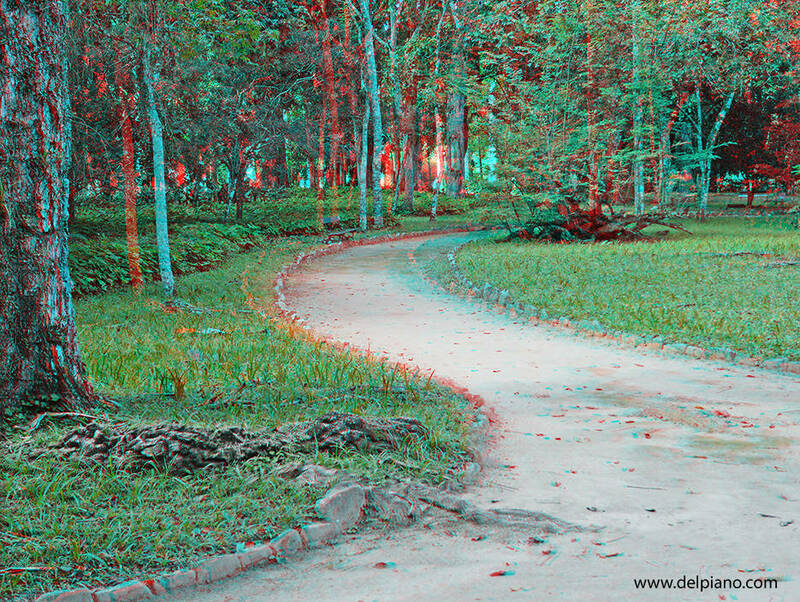 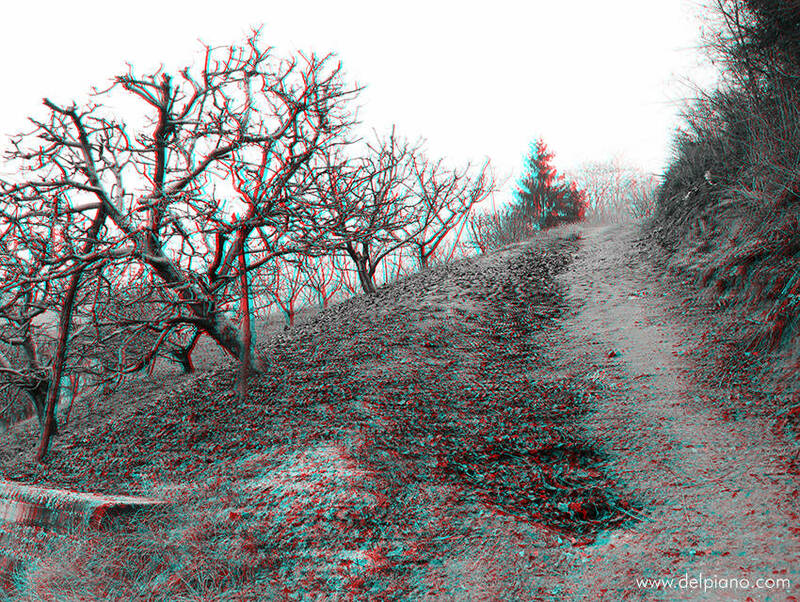 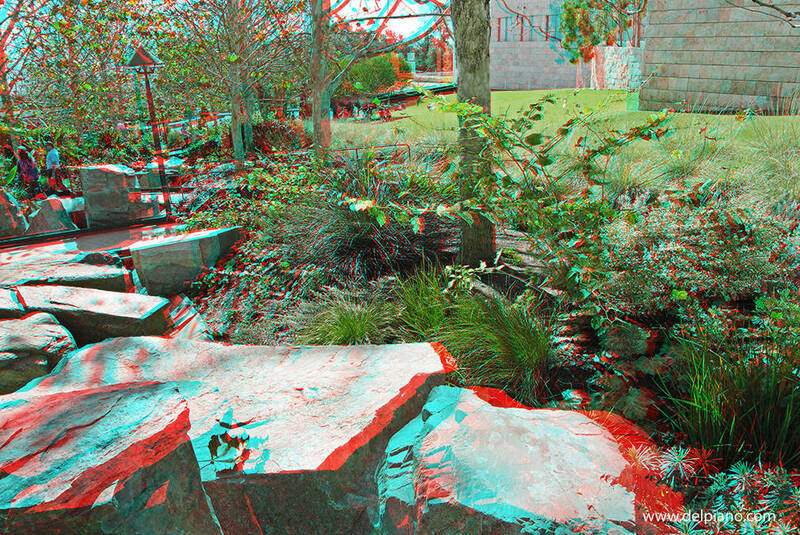 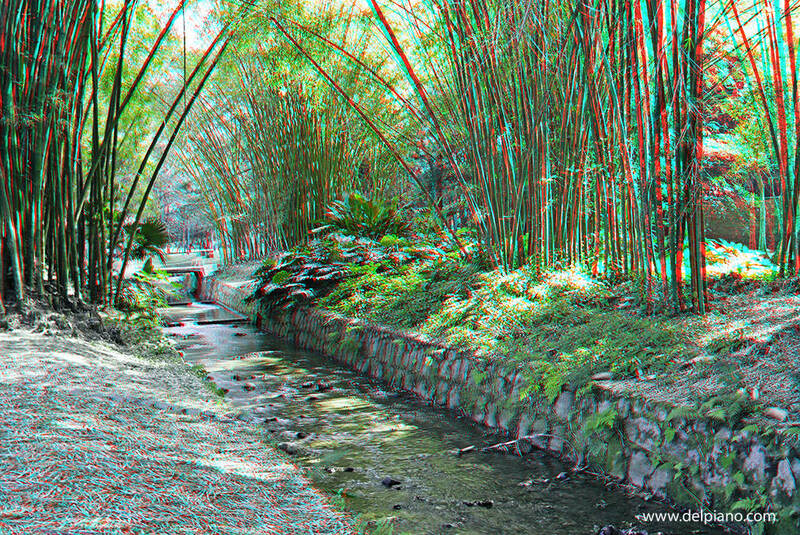 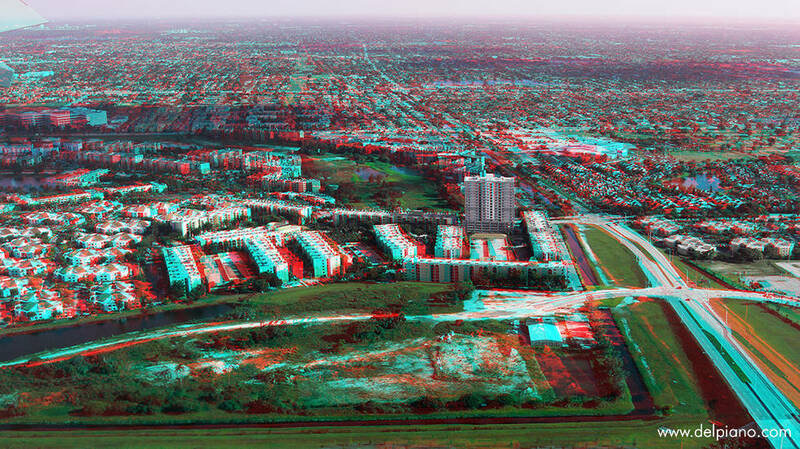 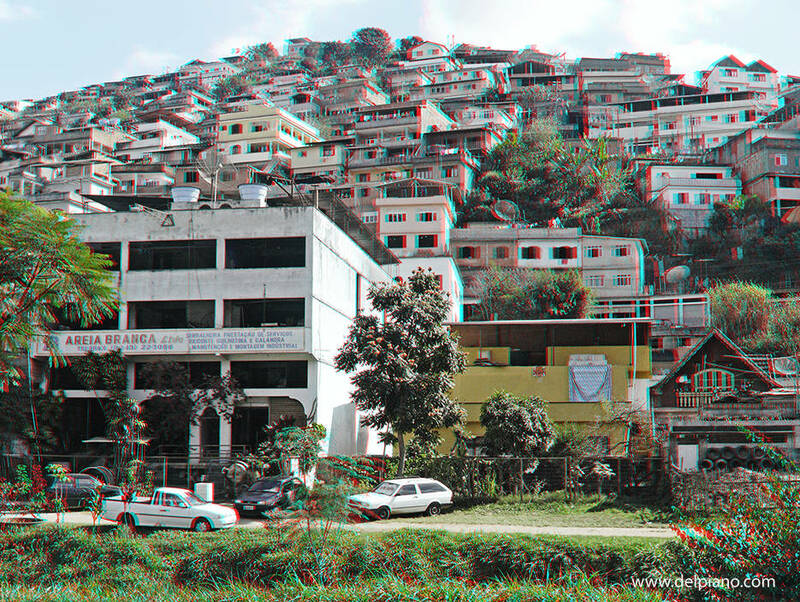 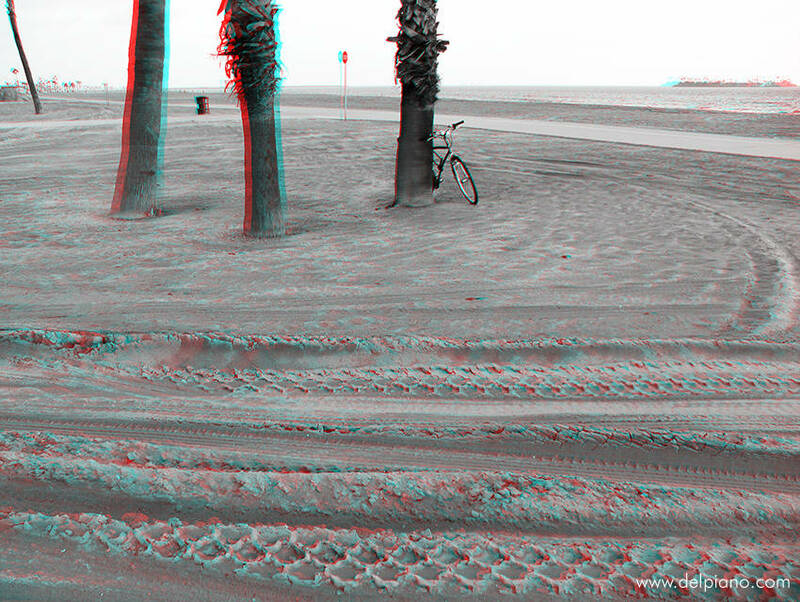 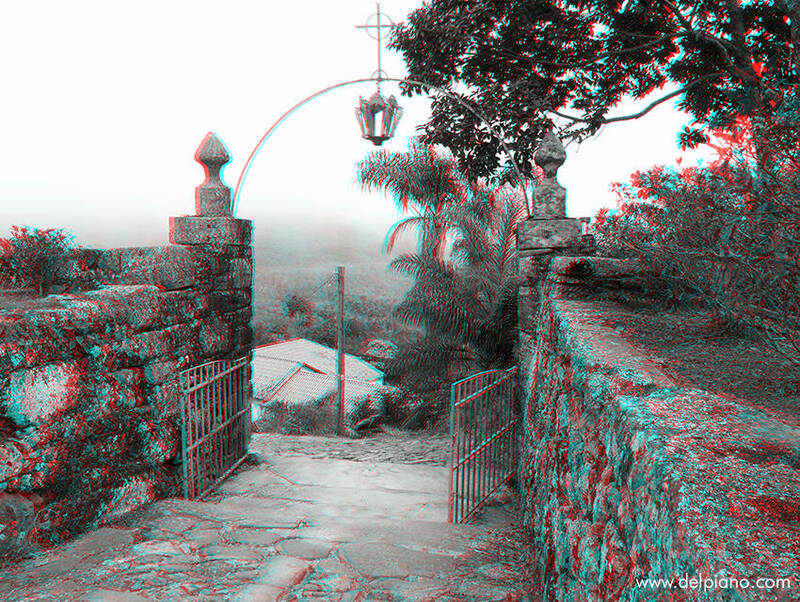 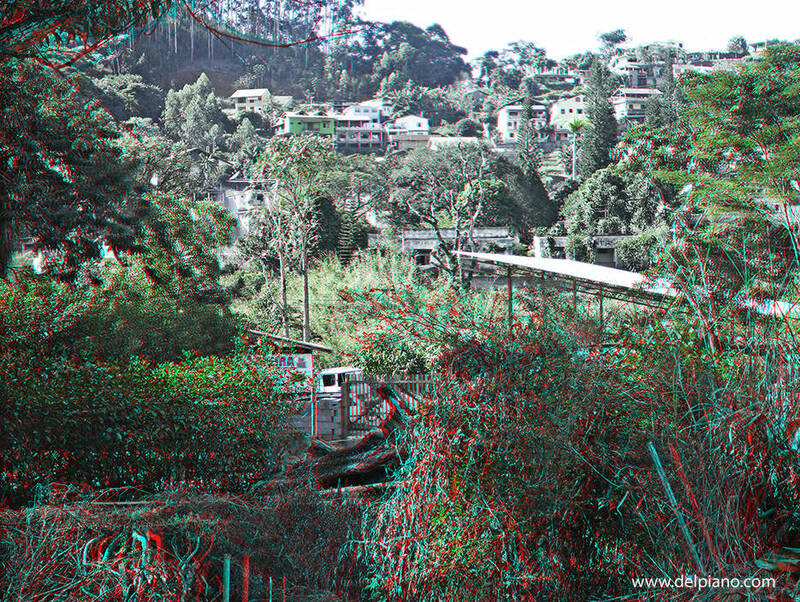 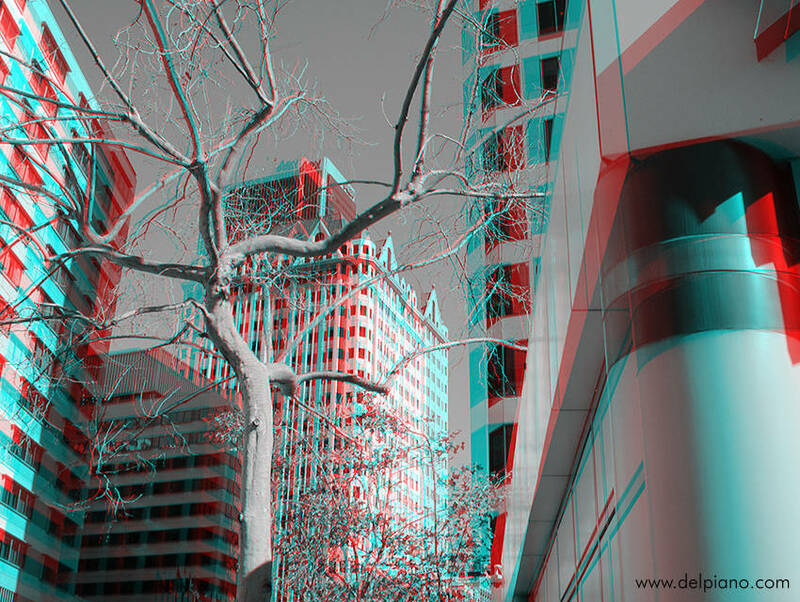 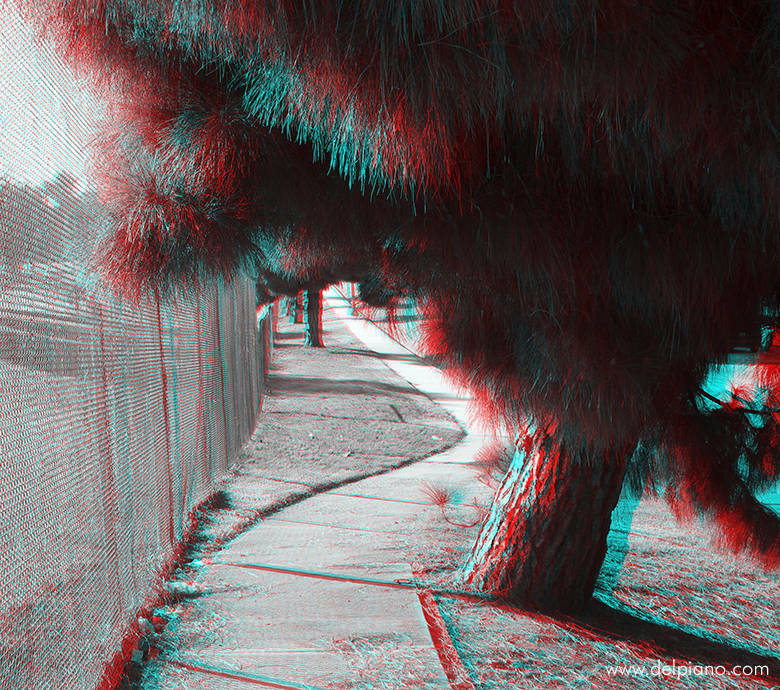 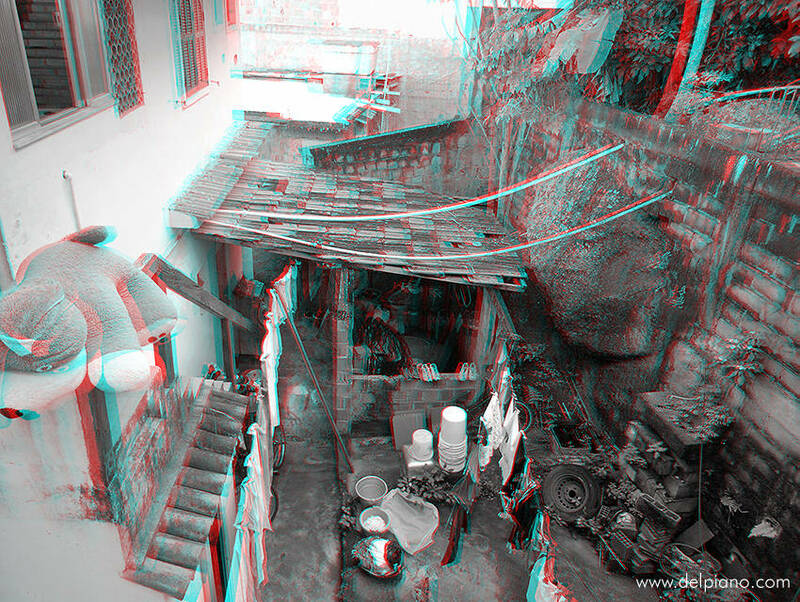 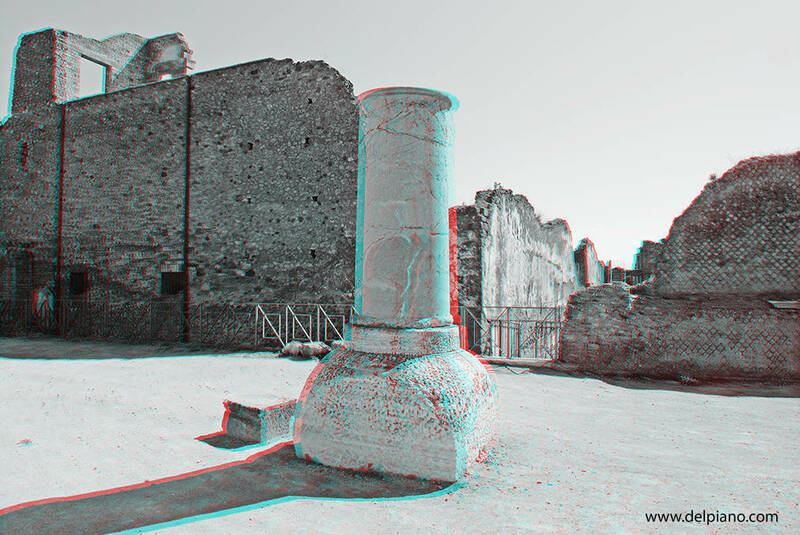 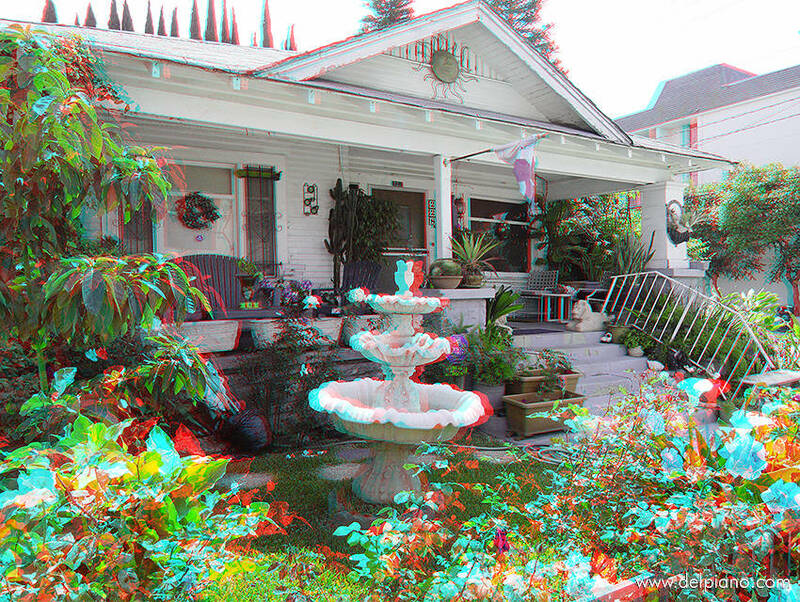 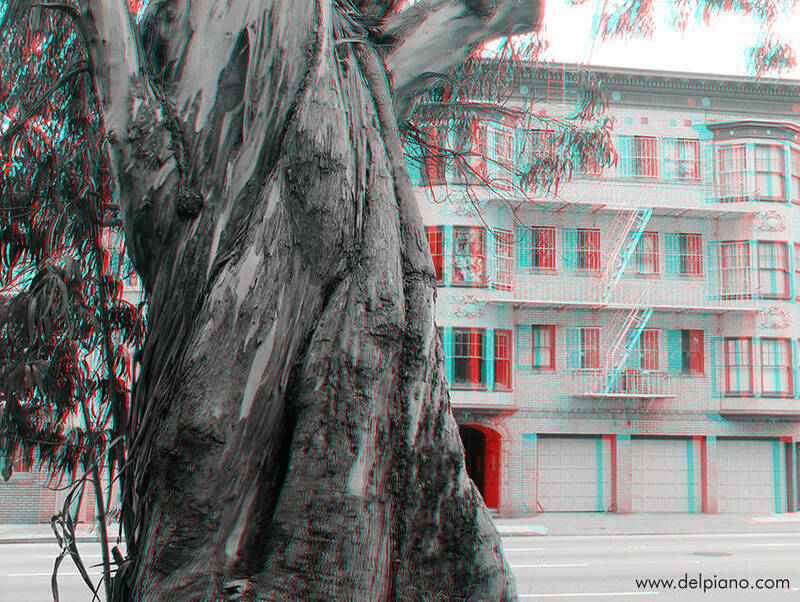 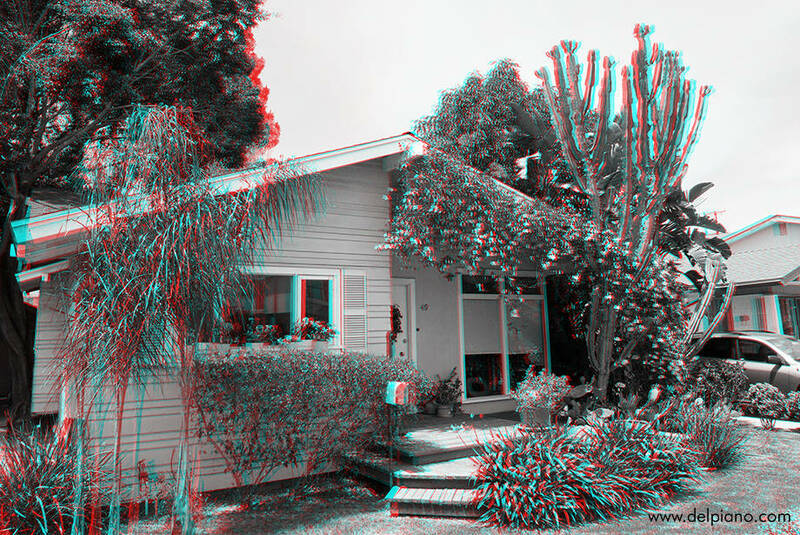 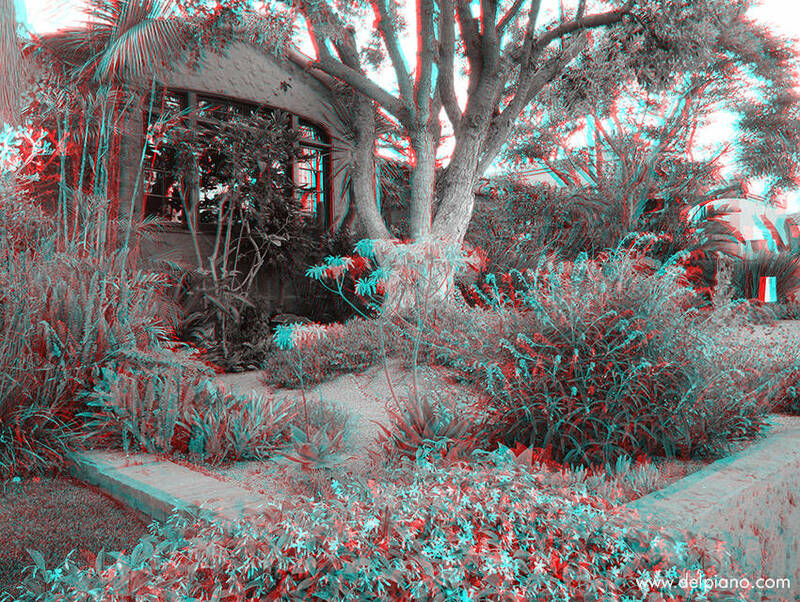 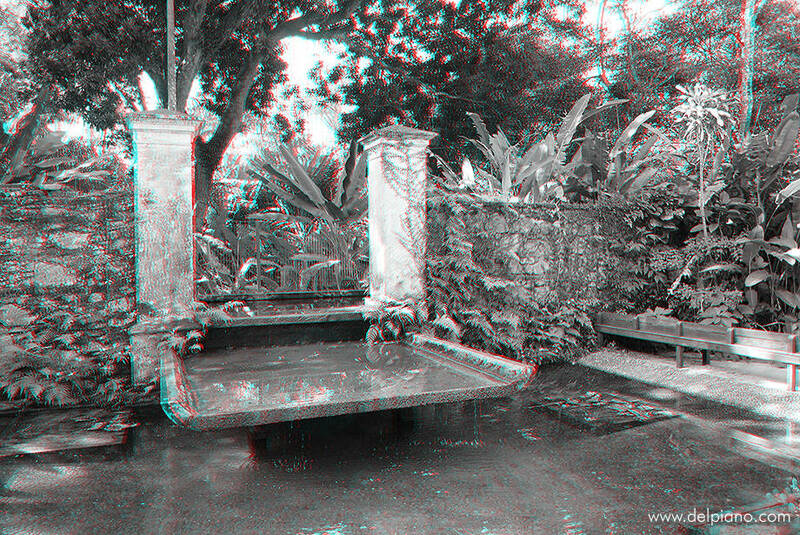 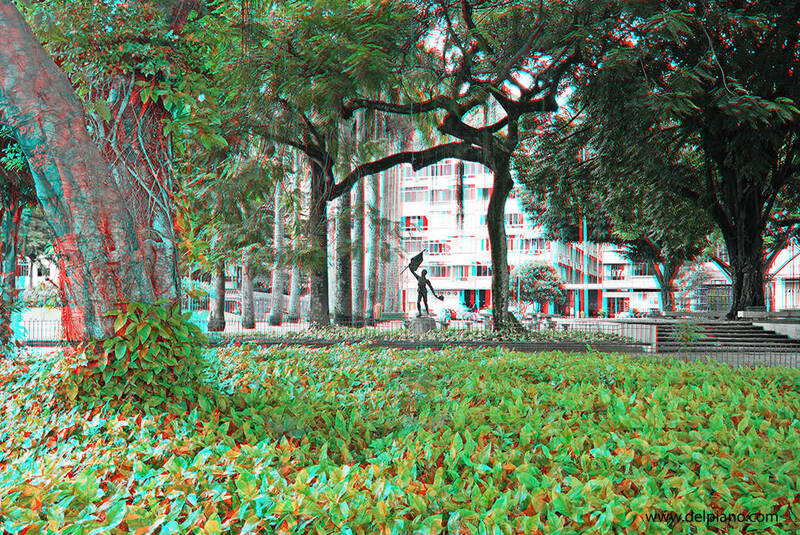 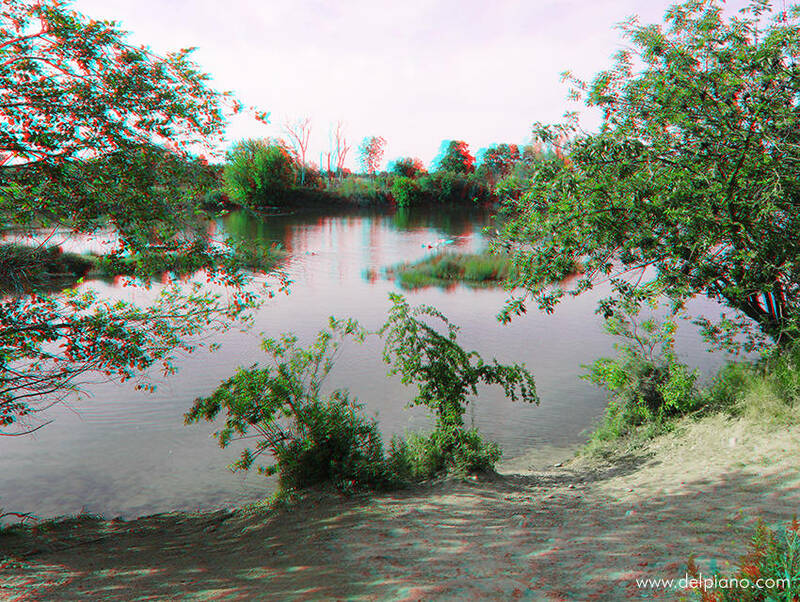 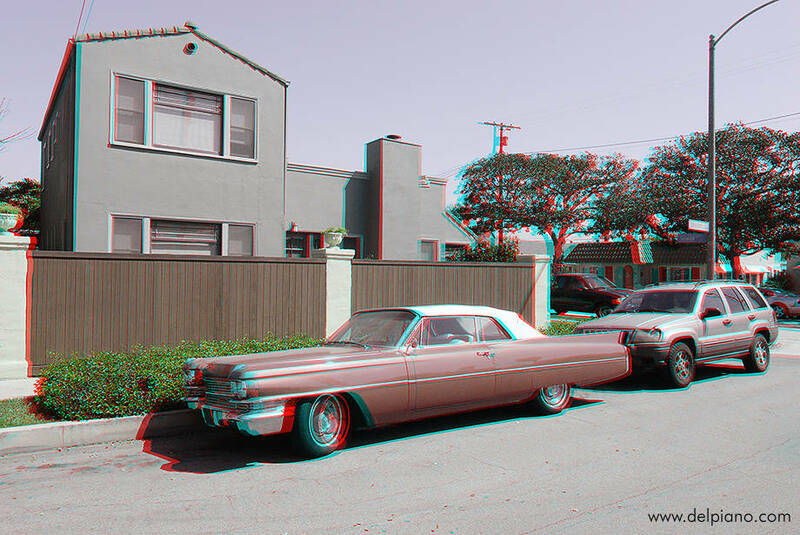 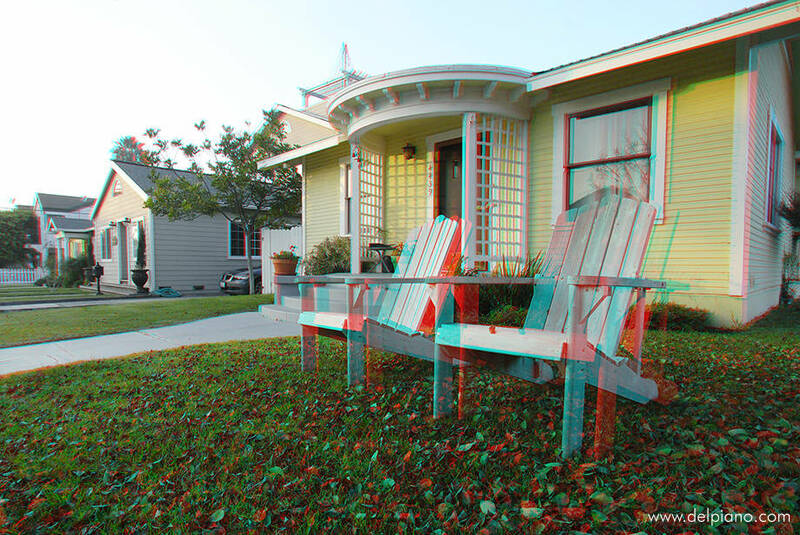 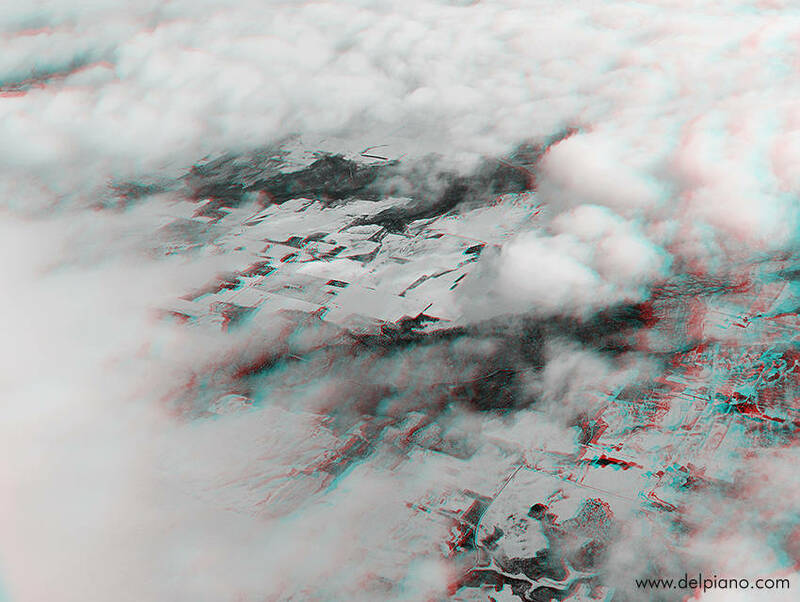 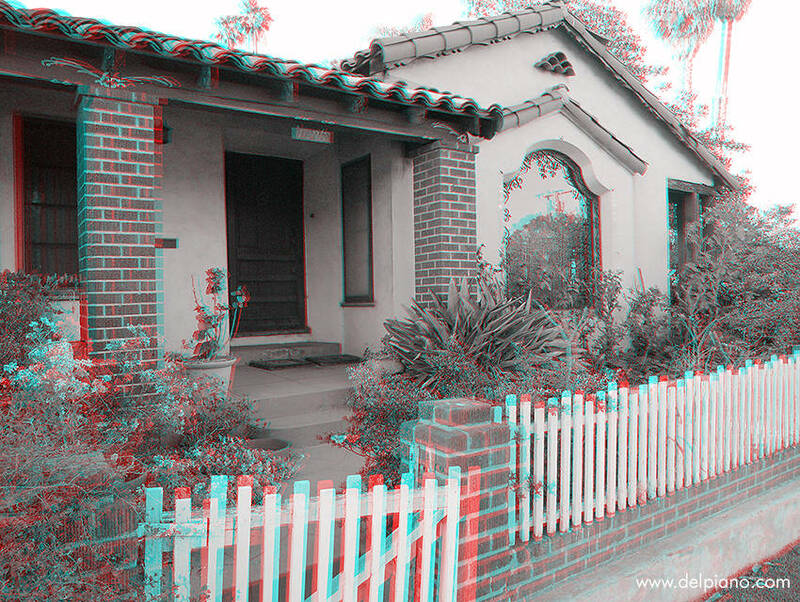 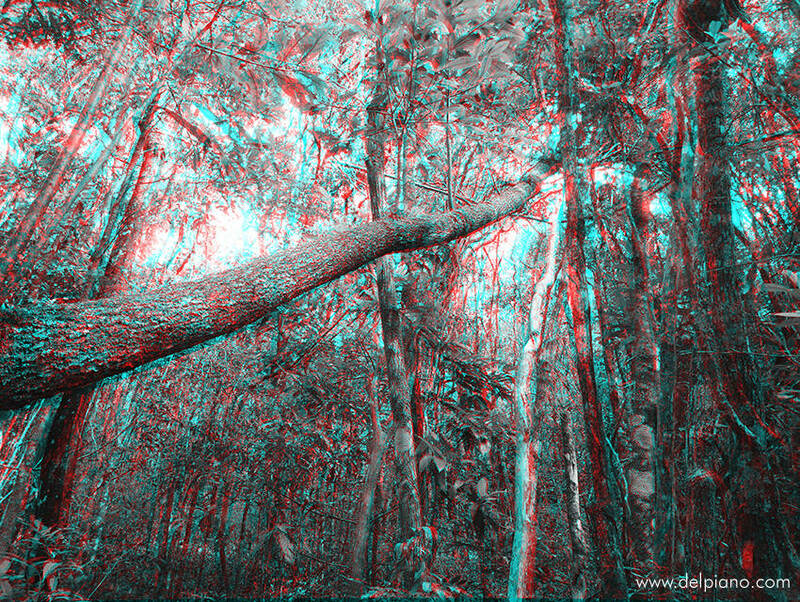 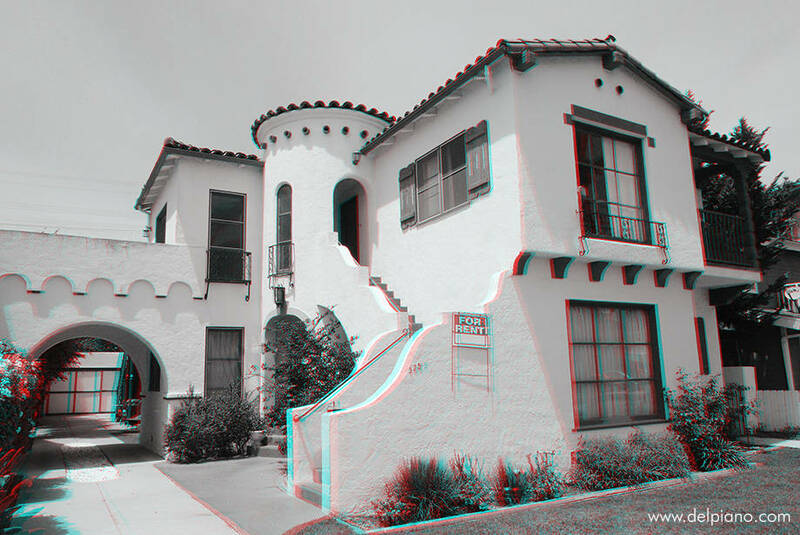 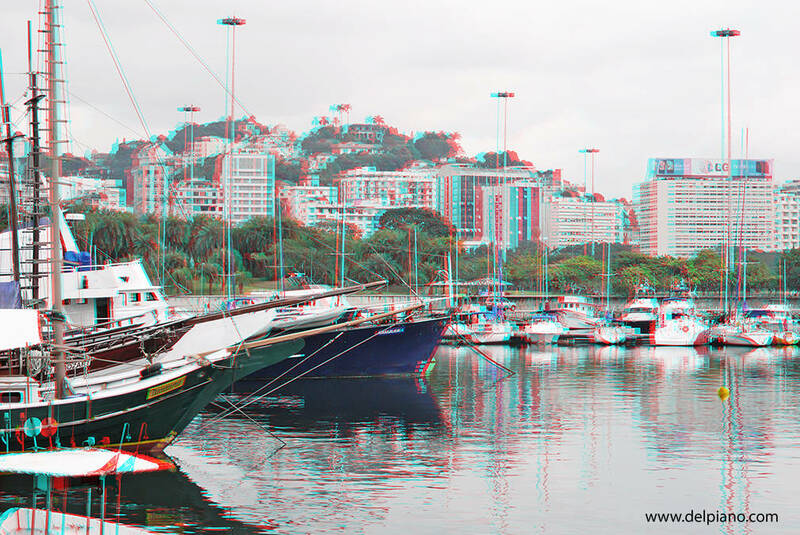 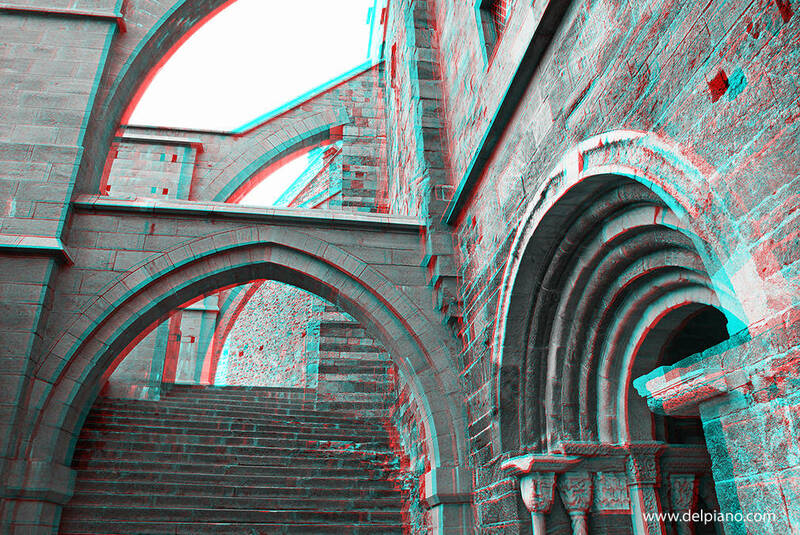 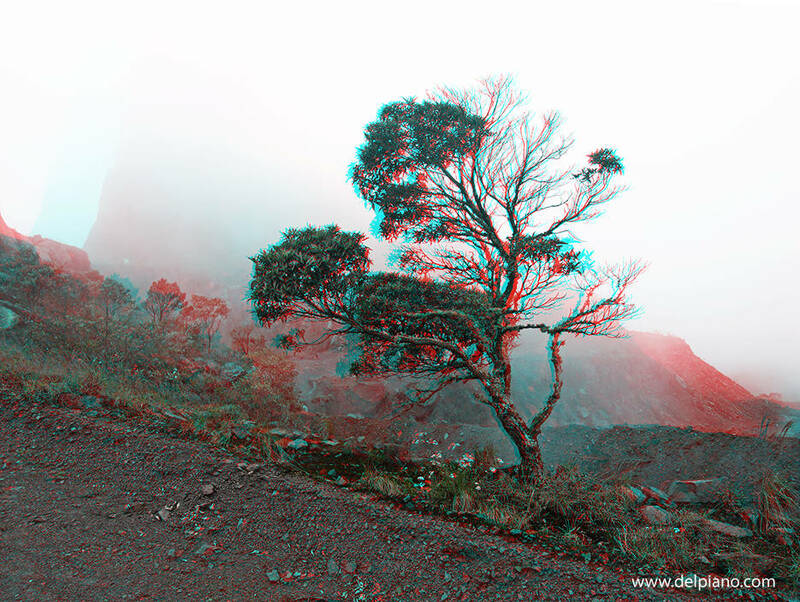 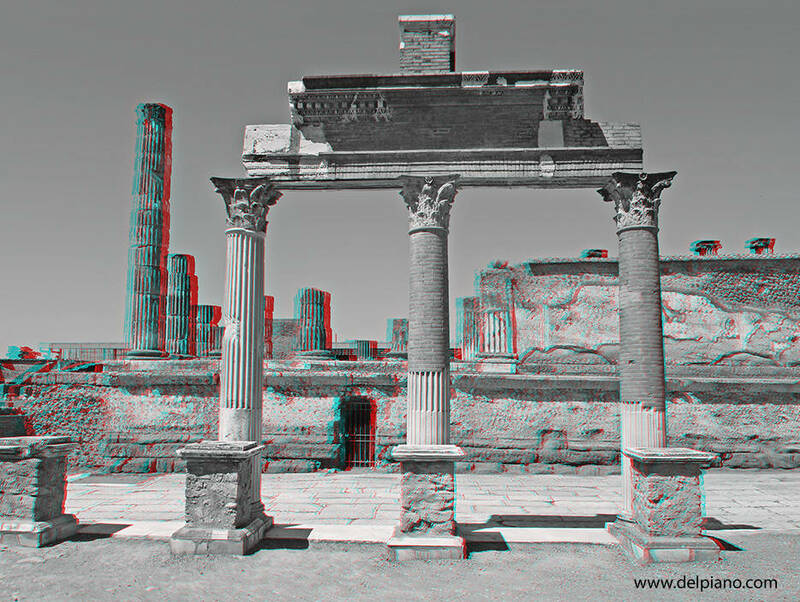 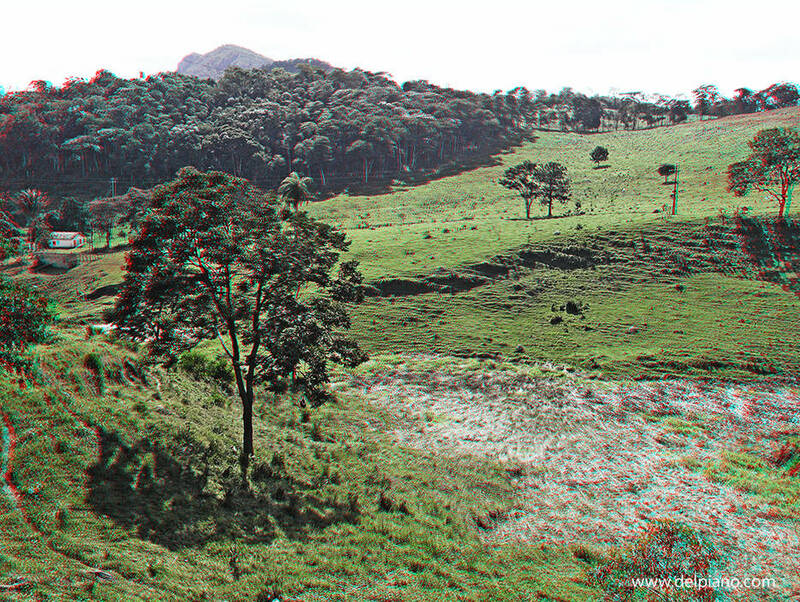 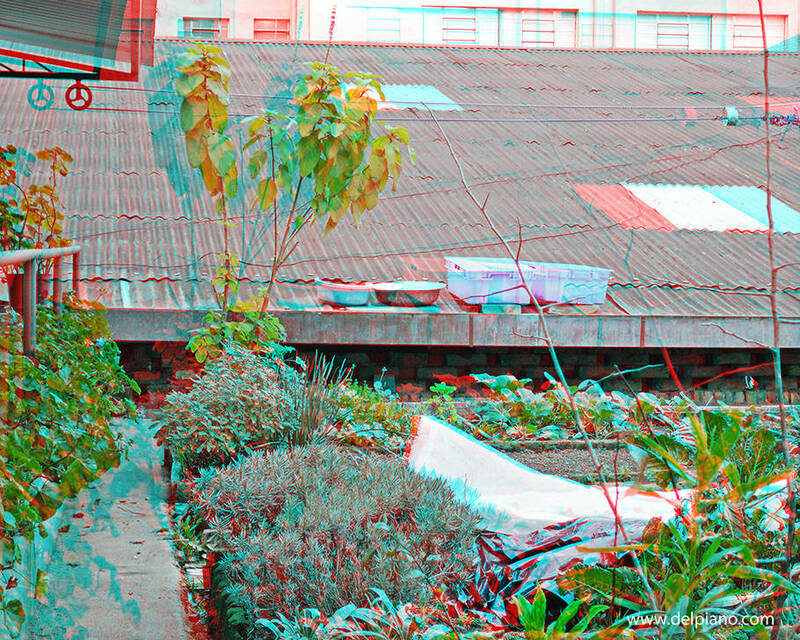 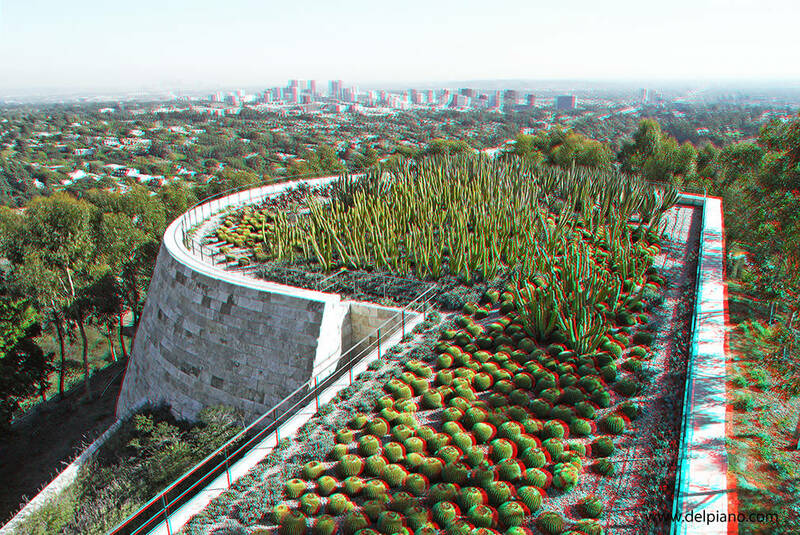 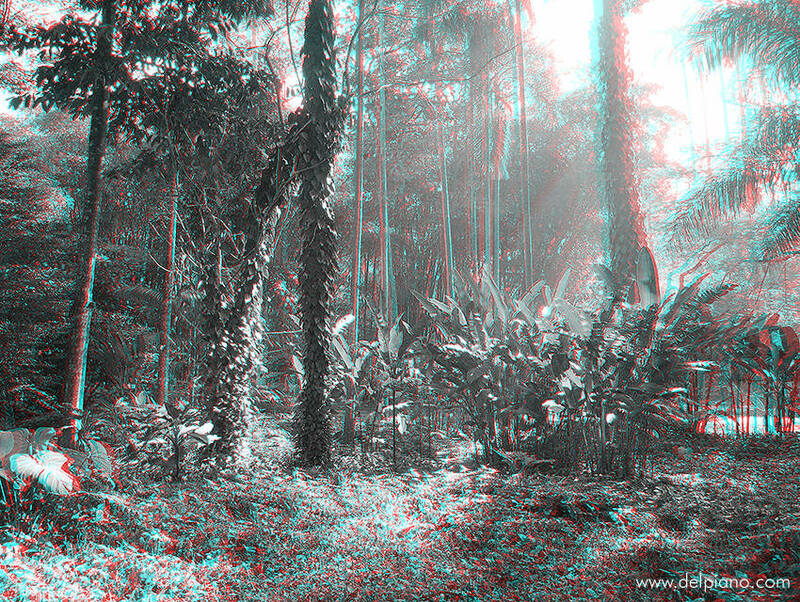 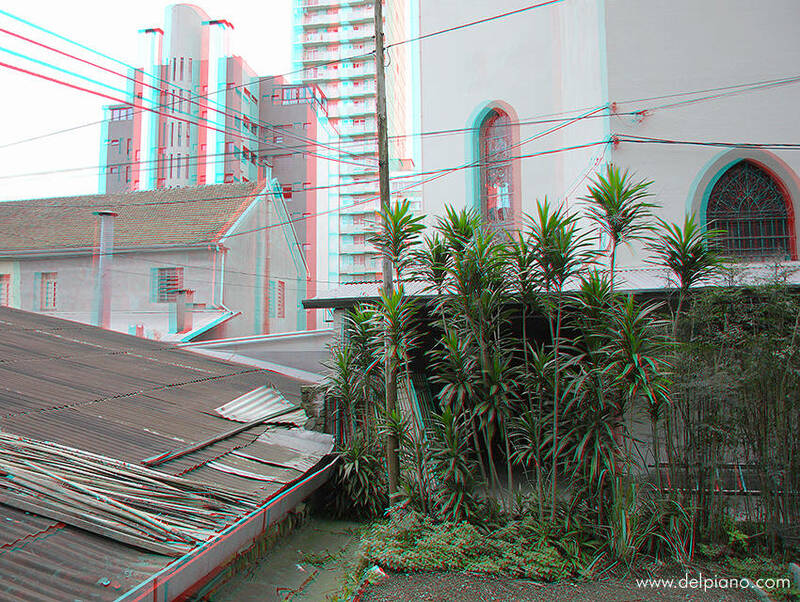 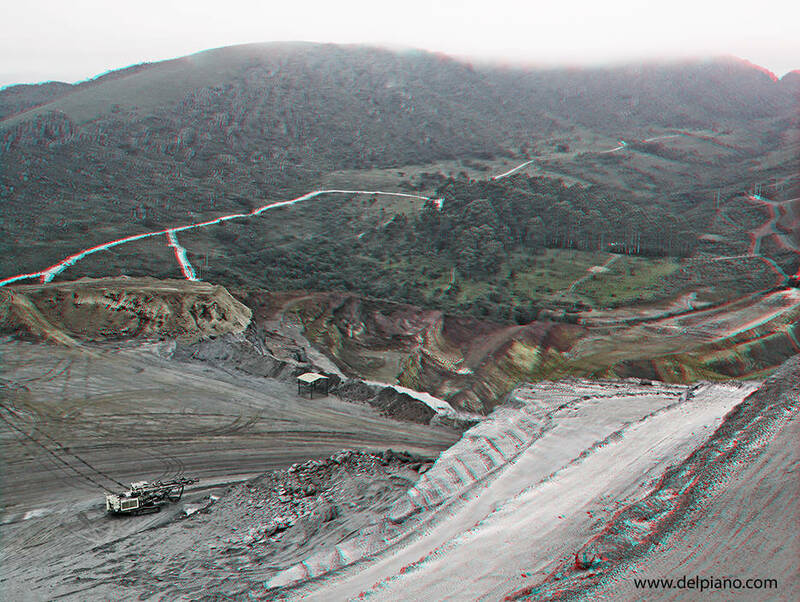 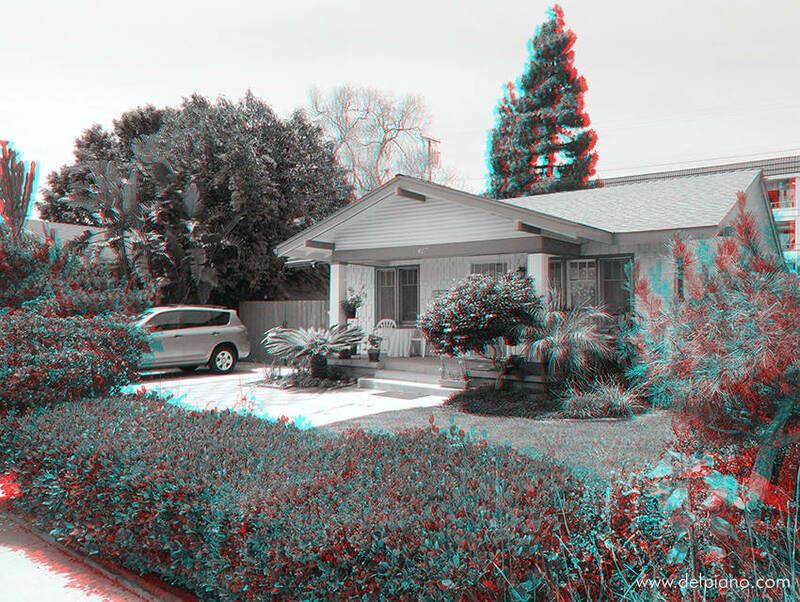 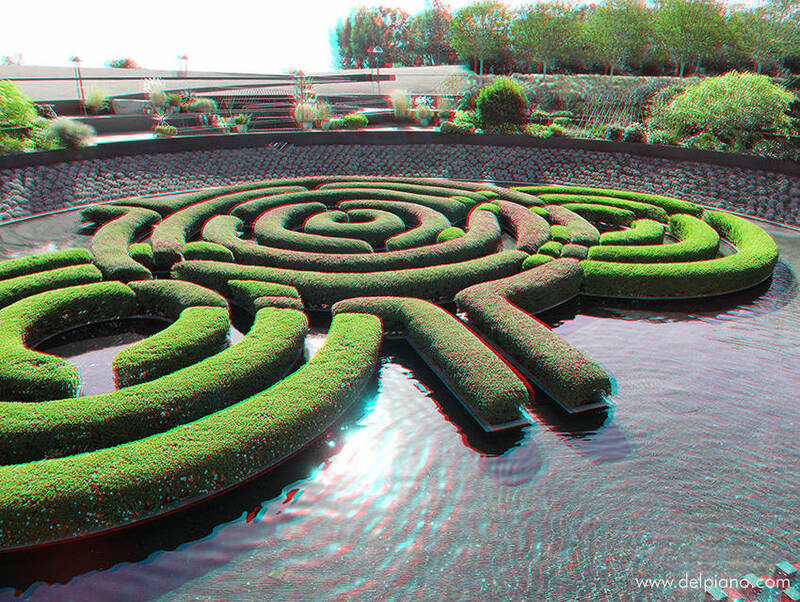 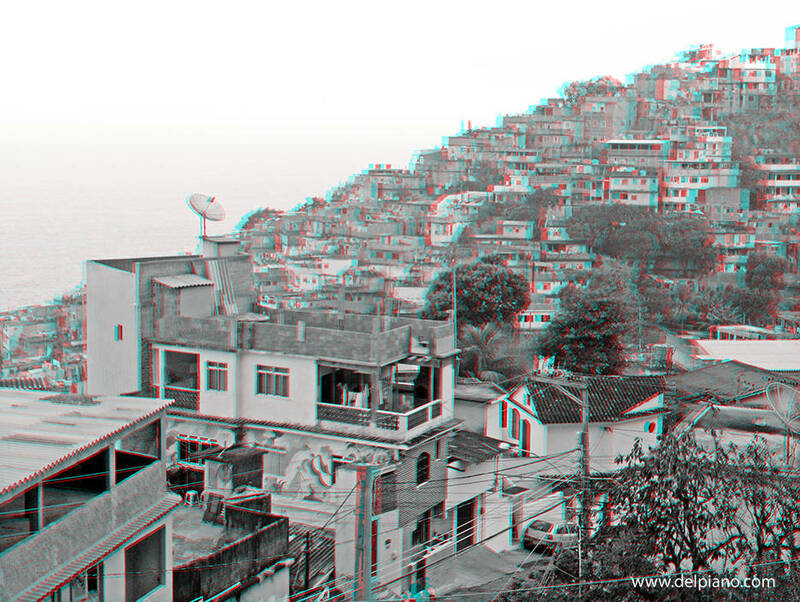 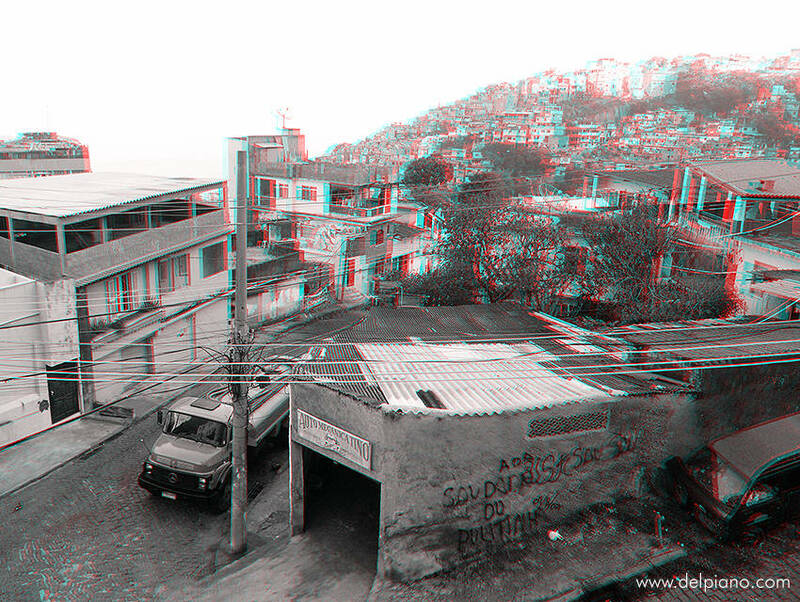 In a 3D anaglyph, depth is there, mostly fake, and possibly the most important element. 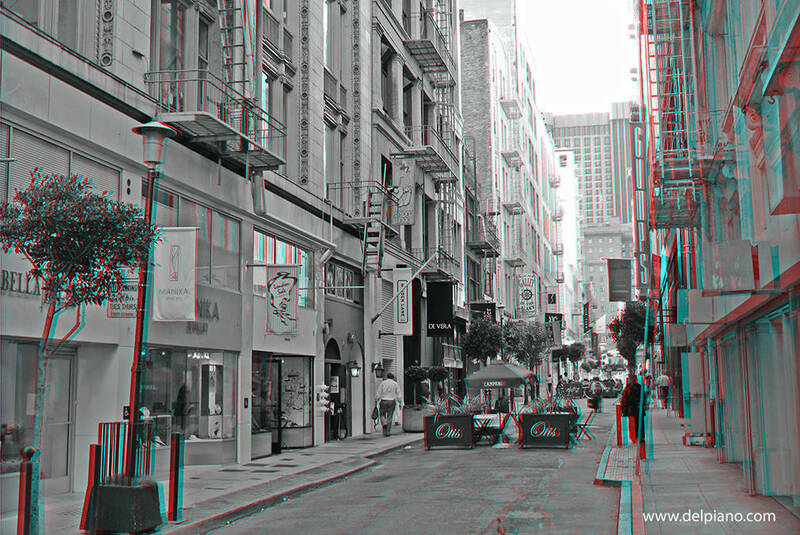 Move your mouse on the links to see the enlarged picture. 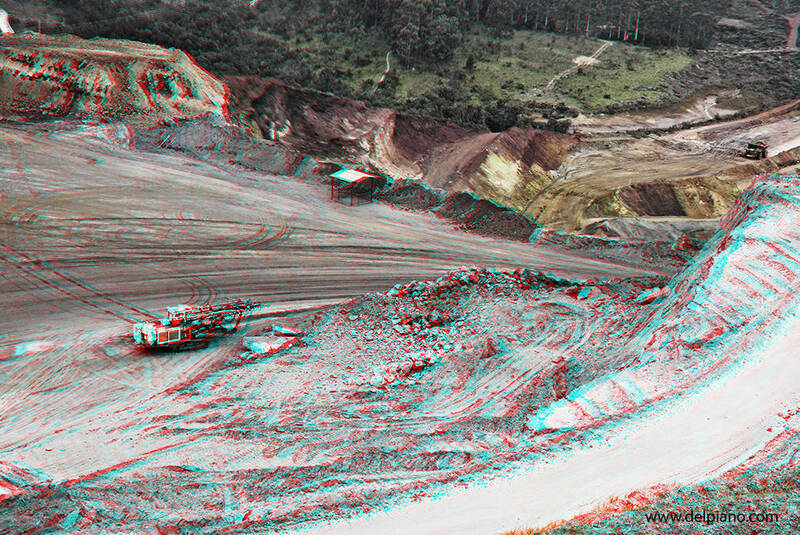 Of course we know what is in front and what is behind. 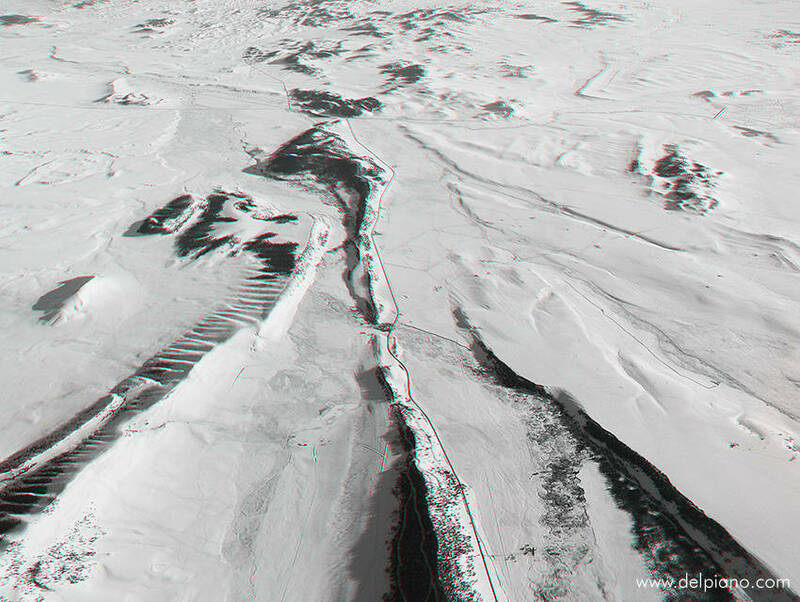 It's cultural, we have learned to recognize objects and their relative sizes and positions in space using our eyes. 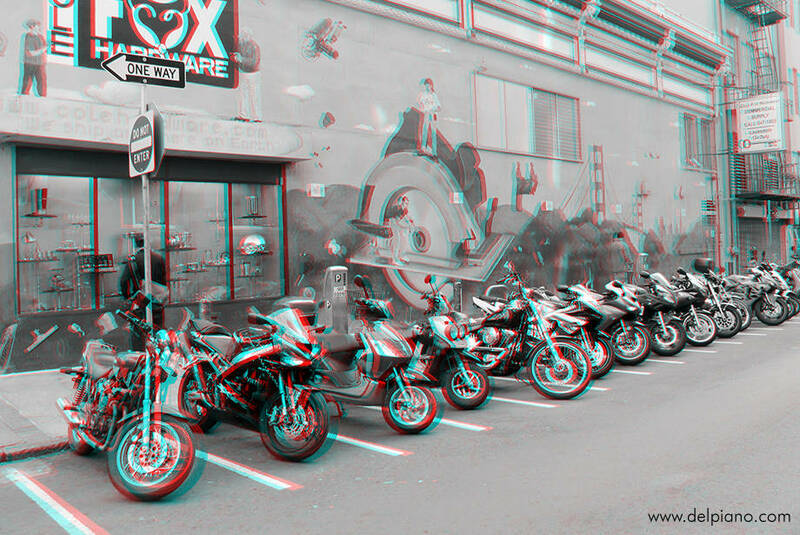 It's the main skill that keeps us alive while driving on a highway. 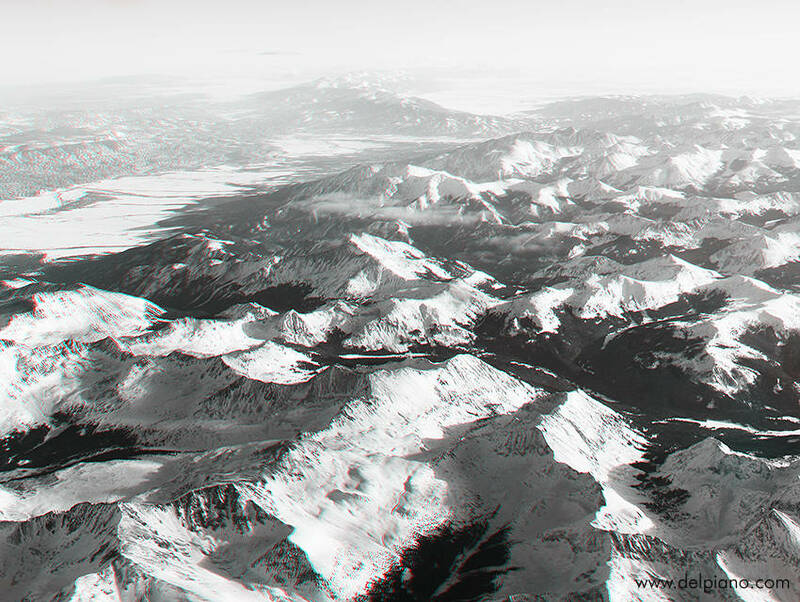 Black & White: no color! 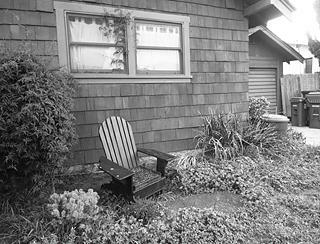 Stripping the image of its colors we still recognize what it is and even guess the colors, why not? 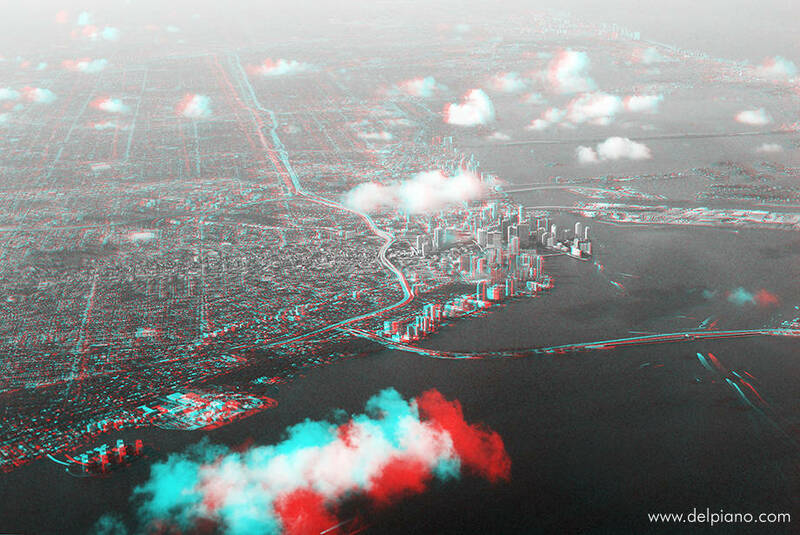 3- get your cyan/red glasses! 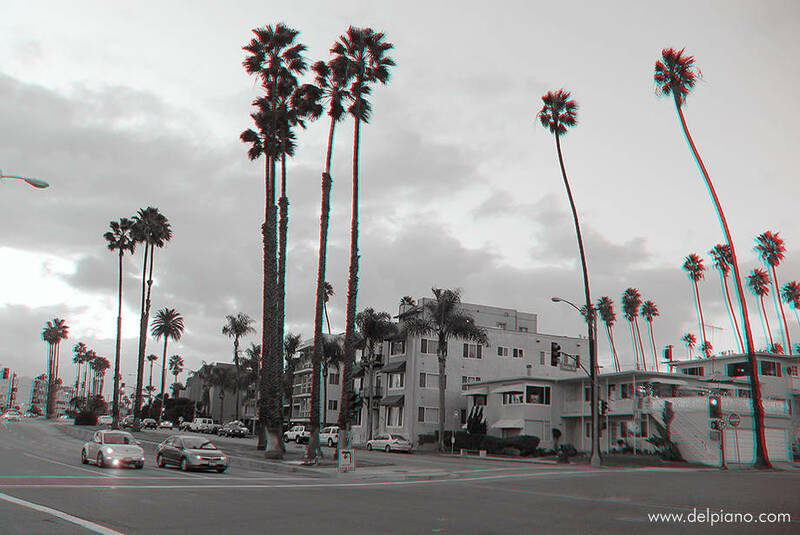 This is the image we see and imagine in our mind, but now it is real, or at least has the true depth we expect it to have.